The professionals with the Auto Clinic of Franklin want to remind everyone that this Tennessee summer is going to be a hot one. This means leaving children and dogs in the vehicle alone for any period of time is something that should never be done. This should be an announcement that shouldn’t have to be made, but when it comes to seeing a Franklin vehicle this summer with a child or dog inside it, those that notice it should take action. When the temperatures outside are hot, the temperatures inside a car are twice as hot. When it comes to the safety and well being of both children and pets, it is essential that these few moments are critical, crucial ones. You need to act with your best judgement when the time comes, since it would only take a few minutes for something horrible to happen to either one that is locked in a hot Franklin vehicle. Remember, stop by the Auto Clinic of Franklin to obtain your maintenance, vehicle tests and other repairs or replacements. We care about the people in Franklin and want to make sure children and pets are not left in hot Franklin vehicles unattended as the heat starts to soar. Franklin auto tune ups provide the vehicle owner with a wide array of benefits. Not only are they important to the vehicle, but they are also important to the person that is driving it. This is a process that can be done by a professional mechanic that knows what to look for when it comes to problem areas on the specific vehicle that you own. Franklin auto tune ups are important for various reasons. It is important to find out these reasons so you’re better able to enjoy the benefits that come from a more reliable, efficient vehicle that you’re driving around. Through the use of tune ups, you can find out any issues or problem areas that are happening in your vehicle. 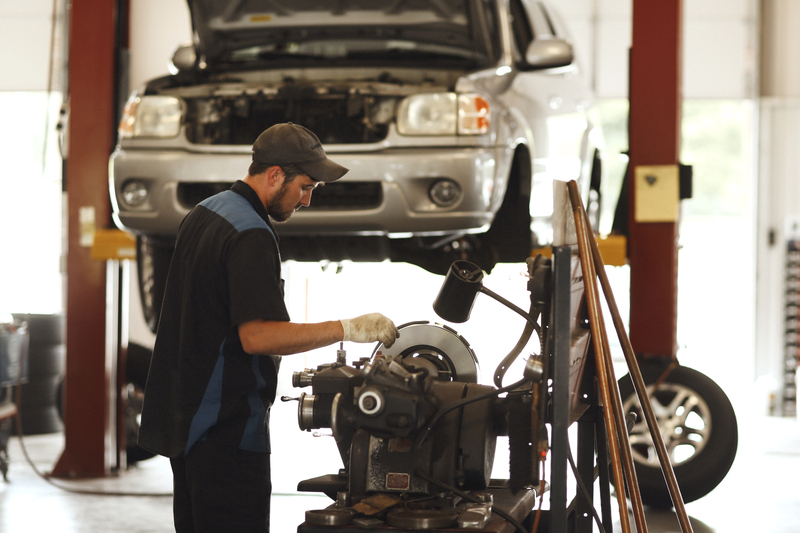 You’re able to have necessary repairs done on your vehicle to make it more reliable. Enjoy the benefits of having routine maintenance done during the service check up such as oil changes. Have a safer vehicle to drive around in due to having it looked over, and this goes for vehicles that had nothing wrong with them, too. Tune ups are also important to ensure that your vehicle is ready for inspections and registrations within the area. While these are just some of the benefits that come from having Franklin auto tune ups, you can make sure to get the most from what is being provided. Enjoy the many different services that are also offered from the garage. In addition to these tune ups, you can also bring your vehicle in at any time there is a problem with it. We like to see everyone on the road safe and sound while they drive about. Speak with us here at the Auto Clinic of Franklin to find out more about the auto tune ups in Franklin that can be done. We can ensure that you find a spot within our schedule. It is better to be safe, than sorry for this hot summer season that is upon us! Schedule your tune up in Franklin today! Changing a spare tire is an important thing to know. If something ever happens to your tire as you’re driving down the road, then you need to know how to take that tire off and put on your spare. This is what is going to get you to your destination. It will take just a few minutes to read through the information, and just around ten to change out the old one for the new. Find a safe place to pull over and park. You do not want to be in the middle of the highway, and also have enough room to change out the tire on your own. Make sure to set your parking brake. Turn on those yellow hazard lights. This will give other motorists safe warning of you being there. You do not want to get harmed by someone not seeing you, especially if it is night time. Use your wrench to loosen the lug nuts all the way around the tire. You do not need to remove them completely, but loosening them and removing the hubcap is necessary. Use your jack to lift the vehicle completely off the ground before doing anything. Always make sure there is a stand and the jack is locked before doing anything further. Remove the lug nuts completely and take the tire off the vehicle. Place the spare tire onto the car and line up the posts and holes for the lug nuts. Put on the lug nuts around the entire wheel. Make sure they’re tightened completely. Bring the back of the vehicle down off the ground and double check your lug nights to ensure they’re tight once again. Put the flat tire, tools and anything else you’re done with back in the trunk of the vehicle. Make sure to glide off slowly, pay attention to traffic when getting back on the road. It is always a good idea to check the condition of the tires before heading out, especially on a long trip. You want to ensure that you do not go anywhere if the tires have little to no air, poor tread, rips, tears or anything that is out of the ordinary. Make sure you have all of the tools that are needed for the tire change, including a high quality spare tire. You want to be prepared if something like this happens, and without the tools or a spare that is usable, you will find yourself with a dilemma. Make sure to practice! Practice makes perfect! While, some people may have roadside assistance of one form or another, it is still a good idea to learn how to change out that old tire for a new one. It might just save your life one day to have this information. Of course, when you need to get a new set of wheels, make sure to speak with us here at the Auto Clinic of Franklin. We can get you driving on a set of high quality wheels, so this is something you shouldn’t have to worry about. What Do All of Your Dashboard Lights Mean? Owning a vehicle can be something that everyone does, but what if you’re unsure of the lights that pop up on the dashboard from time to time? This is something that may need to be diagnosed, because some of those lights are important. They are your vehicles way of telling you that something is wrong, and that it should be fixed sooner, rather than later. Check Engine Light – The check engine light is one of the biggest lights you should know. This is because, it is also one of the most important. You want to make sure your vehicle is in good standing, and if this light is on, it might be dangerous to drive. It will not pass an inspection with the light on, and you will need to have a garage read what the light means through a code reader. They can then better fix the issue you’re having. 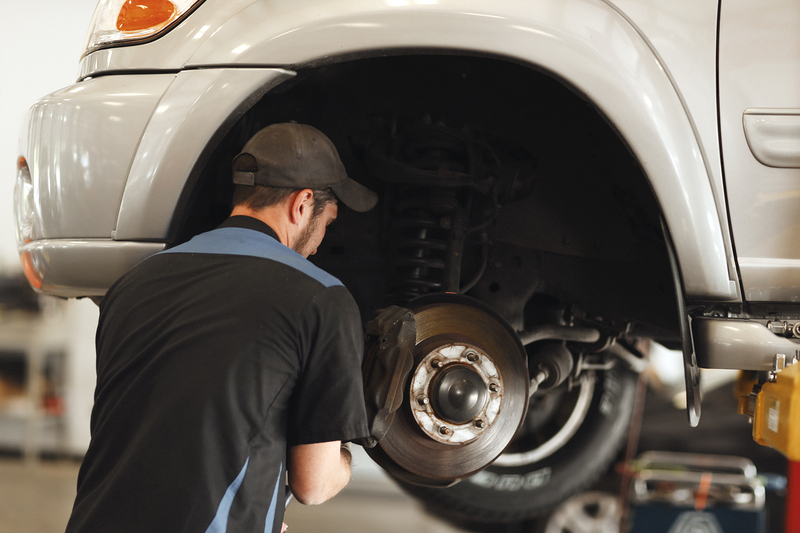 Brake System – Brakes can have multiple issues with them. Whether there is a warning for them, or if the ABS unit is not working correctly, all of these issues can mean that the brake system should be diagnosed and repaired, if possible. Lights – All of the lights on your vehicle have a different symbol, depending on what you’re using at the time. You may have the high beams on, fog lights or other daytime running lights that all have separate signs to show they’re on and running. Oil – An oil change, or leak can make the oil light come on. This looks like an oil can with a drip coming out of it. Battery – When this little battery pops on, it could indicate that your vehicle is not getting enough power from the battery inside it. This can mean that a new battery is needed, or various other issues that might be going on. Speak with us here at the Auto Clinic of Franklin to find out more about those dashboard lights, and how we are able to diagnose and fix the issue you’re having. You can then feel more confident and comfortable while driving, and provide yourself with a way to get more out of the vehicle that you own. When spring rolls around, you want to ensure that you’re covered from start to finish. This means being able to find exactly what it is that you need to have fixed on your vehicle. You want to go over everything, get a thorough check up, tune up and inspection to make sure you’re road worthy. Are you ready to check out each of these areas for your spring maintenance? When the spring rolls around, so does the rain. When you’re driving around, you want to ensure that you have traction and that you can see where you’re going. Without high quality wiper blades, and a new set of tires, the ride might get a bit scary. This is a great time to wash off the salt that might have clung to your vehicle from the snow and dirt that mixed during the winter. It is always a good idea to clean your vehicle when it is spring time to keep the body in the best shape, and ward off any rust that might happen during your spring maintenance check up. Tune ups are good to have done through a mechanic, so you can make sure that everything on your vehicle is running and working like it should. 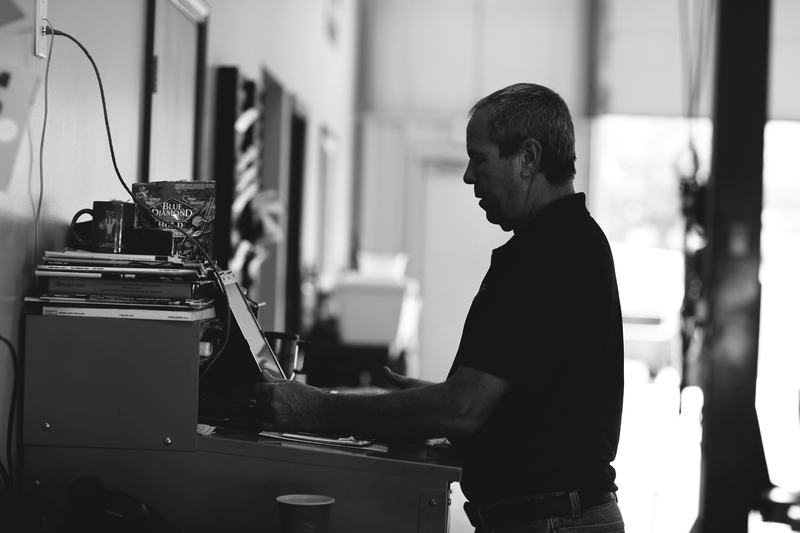 While, you may not be trained to see this issues ahead of time like a mechanic would, bringing it to a shop to find out more is always a good idea. It is always ideal to get an oil change when it comes to changing out your vehicle and getting it ready for the spring, but you do not want to forget about the other fluids in the vehicle. This is something that you can do, or you can call up a qualified mechanic to go through the vehicle during the spring maintenance check up. These are essential for the overall well-being of the vehicle, and for your life. You want to check the brake pads and rotors to make sure they’re in great shape. If they haven’t been changed in some time, then perhaps going for a new set couldn’t hurt. When you need to make sure that your spring maintenance is going the way it should, speak with us here at the Auto Clinic of Franklin. 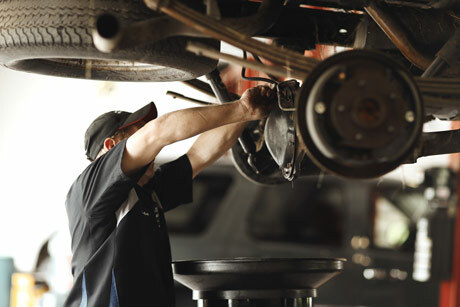 We are more than happy to help you with everything that needs to be done, and give your vehicle a thorough check up to ensure that you’re ready for all that spring has to throw your way. Schedule your appointment with us today! When you have an issue with your vehicle, and you hear sounds or notice something different with the way the vehicle is driving, then you have to consider the many different options that could be the problem. These issues will come and go, and some of them might be bigger problems than others. Here are some of the top signs that show that your transmission is failing in your vehicle. Fluid Leaks – Leaking fluid from a vehicle is never a good sign, but when it is transmission fluid, then this could become quite dangerous. Checking all of the areas where fluid might leak from, such as the transmission, windshield fluid, antifreeze and brake fluid is ideal. When you notice that it is transmission fluid, make sure to put some in there, and find a garage to help. Warning Light is On – When the transmission has an issue, there is a warning light, much like your check engine light, that pops on. It might even be your check engine light, or it might be the transmission temperature gauge. Whatever it is, if there is a light on, there is a problem. Strange Smells – When you smell something burning, or something sticky and sweet, then this might be the transmission fluid burning up and becoming too hot. This is an issue. When the transmission fluid burns, it could mean the transmission is burnt out. It Sounds Odd – Odd clunking, clinking or chugging noises should not be heard when driving around. You need to make sure that nothing is dragging below your vehicle either. These sounds should always be investigated to find the root of the problem. It is Difficult to Drive – The transmission helps the gears to move, and when they are not moving like they should, then this could signal a failing transmission. If the weird driving feeling is accompanied by the odd sounds, then it is time to bring it in. Speak with us here at the Auto Clinic of Franklin to find out even more about what we can provide you with when it comes to doing a thorough inspection of the transmission and other areas, as well as getting the transmission in your vehicle back on track. When it comes to choosing the right tires for your vehicle, you have to ensure that you understand the available options, and which features each tire comes with. Not only that, but being mindful of the weather, and the conditions on the road before choosing is also a great idea. When you put many considerations together, then you can choose the right tires for your vehicle easily and efficiently. Find out more about our Full Line of Tire replacement, repair, and maintenance Services by clicking here. These tips and tricks can help you choose the right tires for the road, but also for your vehicle. Many different brands and sizes are available, so knowing a bit more about all tires is a good thing. While some only go for the more affordable, off-brand types of tires because that is what they can afford, chances are that they do not have enough grip on the road and they do not last as long. If you can splurge a little, or start saving now then choosing a high-end brand of tires can be the right tires for your vehicle because they handle better and last longer. When choosing a tire, you need to know the traction rating. The tread on the tire can tell all. If you want thicker, better holding tires then go with a higher traction rating. Usually, tires without any tread on them are for street racing so if you’re not racing something, then you better stick to something that is going to grip the road and keep you on it. Don’t overlook this, since you want something that can hold the weight of the vehicle and not pop while driving down the road. Usually, the larger the tire, the more weight they can hold. Reading this information, and making sure to get the right size and load capacity are essential. If the tires are not able to carry the weight, they are not going to last long. When choosing the right tires for your vehicle, make sure to go with the right ones for the season. Even if the winter tires are on sale in the spring time, you’re not going to want to put them on your vehicle during this time. Purchasing them for the winter might be ideal. Purchase for the season you’re in, no matter the price or ratings. When you’re ready to change out those old tires for new ones this year, speak with us here at the Auto Clinic of Franklin. We can help you find, and exchange the right tires so you can have more time on the road and less time changing the tires. We all wait for the spring time to roll around, and when it does; make sure that your Franklin car is well maintained and ready to hit the open road. With the best tips out there, and the right mechanic, you can ensure that the vehicle you want to drive around is in the best shape possible, so you can always make sure to be ready for the warmer, sunnier weather ahead. The inside, and the outside of the vehicle should be thoroughly cleaned. You want to run it through the car wash, and make sure that the undercarriage is properly cleaned. This will keep any and all rust from out of this area. The oil is a big maintenance factor, and though it should be changed with the mileage, and so on; it should also be changed when the time comes to drive long distances. You want to ensure that you’re ready for the warmer weather, and anything that you have planned for the Franklin car, so change the oil. In addition to this, with the right amount of tread, new tires should also be rotated. This will put them in the best shape possible when it comes to adding the to the vehicle. If you’re using winter tires, then they absolutely have to be changed before the spring and summer months roll around so you can get better traction during this time. The air filter will make the air in the car crisper, cleaner and more comfortable. 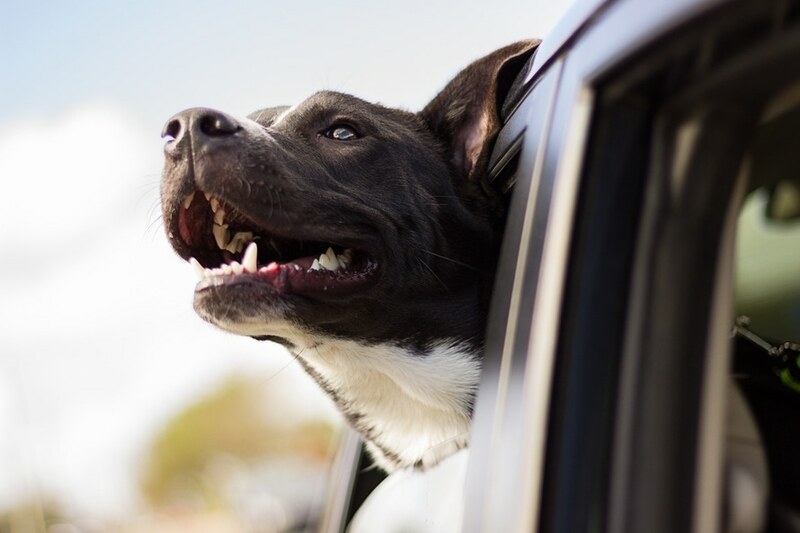 Instead of having that stale smell throughout the vehicle, replace the air filter sooner, rather than later before you start using the air conditioner in your Franklin car. Spring time brings rain, so you want to ensure that you have wiper blades that can stand up to the test. This means replacing old, worn out ones with a higher grade, higher quality pair that can get the job done. Of course, you always want to ensure that you have anything repaired and maintained so the Franklin vehicle can be in the best shape possible. Here at the Auto Clinic of Franklin, we can ensure that your vehicle is ready to go, whenever you are. Talk to us today, or schedule an appointment to come in and meet with us. Many people, if not all of them, have experienced a check engine light problem in the past with their vehicle. This is because something or another is not working right on the vehicle. You might have an idea of what is going on, or you might not have any idea. However, it can be very important to bring the vehicle to a shop that is able to diagnose the problem, and then repair it for you. Learn more about the check engine light. There is a reason for having the check engine light on, and in order to find out what the issue is, a computer will need to be hooked to the vehicle. This computer is going to provide the mechanic with a code. This code is what is going to tell you what exactly the problem is. The mechanic is then able to tell you the problem, and they can repair the issue. Having a check engine light on can be dangerous for a number of factors. Not only does this mean that something is not working in your vehicle, and it can be something that is important for your safety. Your vehicle is not able to be inspected when this light is on. This is due to the fact that the vehicle might not be safe to drive around, not only for you, but those that might be on the road around you. A lot of people did not think about how important, or dangerous, this light could be if it is not taken care of ahead of time. Finding a qualified mechanical technician is the next step needed to ensuring that the check engine light is reset, the issue is fixed and that it is not going to turn back on. The Auto Clinic of Franklin is where you can bring it where we can ensure that you have the diagnostics done, and the repairs needed to get you back on the road. Contact us today, or just swing on by to speak with us about any issues you’ve been having. What Can Happen if I Don’t Get Transmission Repair? Your vehicle is how you get from one place to another, and if you’re not listening to everything it is telling you then you might find you have issues. These issues can range in severity, but if they are really bad, then it is ideal that you have the transmission repair sooner rather than later. Make sure that you, and all of your passengers are safe while driving around town. There are tell-tale signs that show that your transmission is bad, and if you’re listening to your vehicle then you should be able to tell when you may need transmission repair. Here are some of the issues that can happen if you’re not on top of the transmission repairs that need to be done on your vehicle. In some of the most extreme cases, you will not be able to give the car any gas, which means you may slow down and this can cause problems when trying to continue going, especially on a highway or major road. In less extreme cases, you may notice the slipping of the transmission, and this can prompt you to seek help before the problem becomes much worse. However, the transmission works by helping your vehicle shift from one gear to the next, and then put into neutral or park. Without this component, you’re not able to do any of this. The vehicle is not going to be able to drive without a working transmission, so in order to keep your vehicle in tip-top shape and to ensure that you’re able to drive safely; the transmission must be in the best shape possible. It is always ideal to have a thorough work up of your vehicle, even before you think anything is wrong with it. Speak with us here at The Auto Clinic of Franklin. We can provide you with all of the tests, repairs and everything else needed, even transmission repair.